Our currency rankings show that the most popular Bitcoin exchange rate is the XBT to USD rate. There is no official ISO currency code for Bitcoins, although XBT is commonly used. The currency symbol is XBT. Below, you'll find Bitcoin rates and a currency converter. 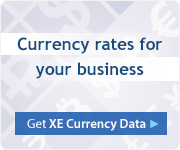 You can also subscribe to our currency newsletters with daily rates and analysis, read the XE Currency Blog, or take XBT rates on the go with our XE Currency Apps and website. Have more info about the Bitcoin? Why are you interested in the XBT? Bitcoin is a decentralized virtual currency. 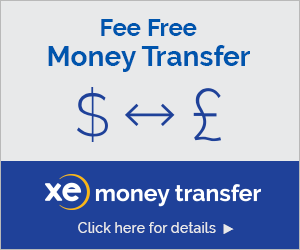 This currency is exchanged digitally and managed by a peer-to-peer network, rather than a central bank or authority. The supply of Bitcoins is automated and released to mining servers; with a limit of 21 million Bitcoins being reached by 2140. Each Bitcoin is a piece of code that has its own transaction log with timestamps. 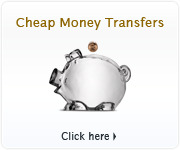 The coins are stored in an owner's virtual wallet and can be transferred and exchanged for goods and services. Transactions are public and although they are relatively anonymous, it is possible trace identities back to real-life individuals. There is debate as to whether or not Bitcoin should be considered a currency, a commodity, or a hybrid of both. Bitcoins are associated with a high level of risk, as they are volatile, not time-tested, and currently under no regulation or legislation. There have been incidents of online Bitcoin wallets being compromised by hackers leading to theft of Bitcoins. Bitcoin is not recognized by the ISO and therefore does not have an official ISO 4217 code. A currency code is generally built from the two-digit ISO 3316 country code and a third letter for the currency. Although "BTC" is often used in the Bitcoin community, BT is the country code of Bhutan. An X-code reflects currencies that are used internationally and so, XE has chosen to use XBT to represent Bitcoin. Introduced in 2009, Bitcoin was created by a developer or group of developers going by the pseudonym Satoshi Nakamoto. Initially the value of the currency was set by users on forums until the first exchange outlet was established. It is known as a "crypto-currency"; meaning that the money and transactions are secured and controlled through encrypted passwords. Since its introduction, Bitcoins have been gaining momentum worldwide, with over 1,000 merchants accepting the currency. For more information on Bitcoin, we encourage you to visit the links below.